LAFAYETTE, Ind. — The management team and physicians of Lafayette, Ind. based Unity Healthcare have voted to terminate their contract with Anthem Blue Cross Blue Shield effective January 1, 2010. The decision was in response to Anthem’s proposal that includes significant cuts to reimbursement rates to Unity Healthcare providers. Approximately 60,000 Greater Lafayette residents will be affected by this change. 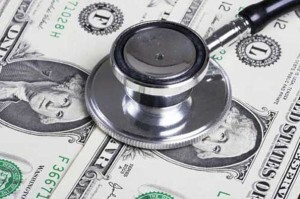 Unity says that in an environment of physician and nurse shortages, reimbursement rates are key to establishing and maintaining a high quality healthcare system. Unity Healthcare leaders will continue to meet with Anthem in hopes that an agreement can be reached. In the interim, Unity is encouraging patients with Anthem coverage to learn more about the issues at unityhc.com/anthem and familiarize themselves with alternate insurance providers including Cigna, Humana and UnitedHealthcare. Unity Healthcare is a medical network with over 75 general and specialty physicians serving Lafayette, Indiana and surrounding communities. Unity provides care for more than 200,000 patients per year and employs over 575 healthcare professionals. Unity Healthcare physicians provide an array of medical services with specialists in allergy and asthma, anesthesiology, gastroenterology, general and trauma surgery, immediate care, obstetrics and gynecology, occupational medicine, ophthalmology, oncology, orthopaedics, orthopedic spinal surgery, otolaryngology, neurology, pain management, pediatrics, phlebology, physical and occupational therapy, plastic surgery, podiatry, primary care, psychology, radiology, radiation oncology, urology, and many others.